Tekapo Springs, Spa and Winter Park - Lake Tekapo. Activites with Tekapo Tourism. Nestled under the slopes of Mt John, beyond the Motor Camp lies Lake Tekapo's exciting new Tekapo Springs with its spa & Winter Park. 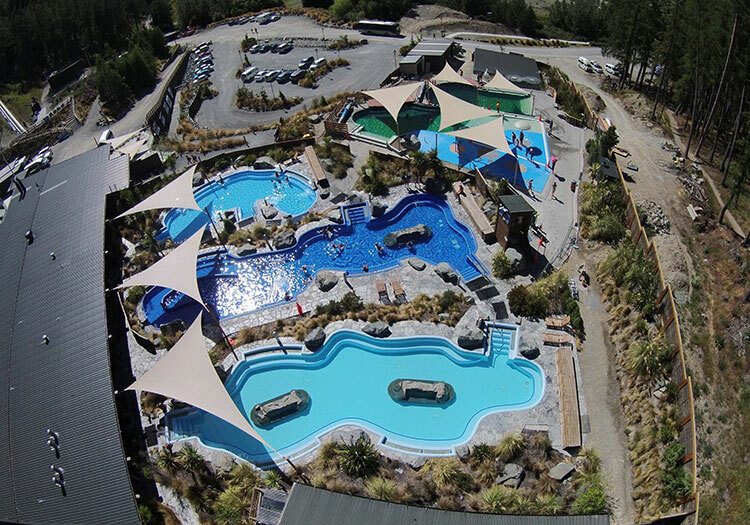 There is a choice of 3 hot pools with wonderful outlooks over Lake Tekapo and the mountains beyond. The spring water is heated from the by-product heat that the Ice Rink produces - very energy efficient! Pools range in temperature from 36 - 40 degrees Celsius. Spoil yourself with a relaxing treatment from the day spa. Massage the stress of the day away, or wake yourself up with the sauna and steam room, followed by an optional dip in the 8 degree plunge pool. Tubing and skating are a year round experience at Tekapo Springs. The Tube park provides an adrenalin pumping ride down the 150 metre slope. Experience Snow Tubing over winter or New Zealand's first Summer Tube over summer. 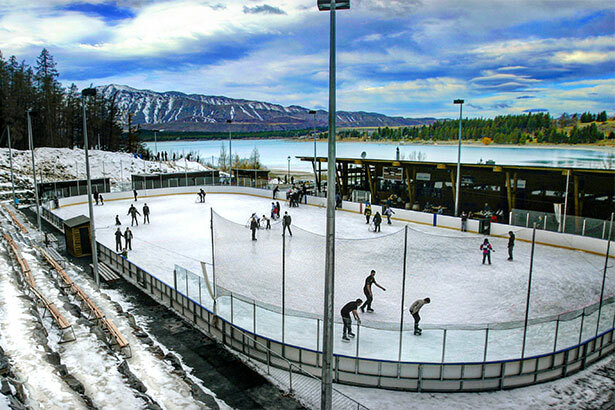 The skating rink provides magnificent views over Lake Tekapo while you test your balance. Great fun for both young and old.